From the Dove-nominated creators of What's Up, Zak?, comes Land Of The Lost & Found: A Musical Encounter With The Parables. 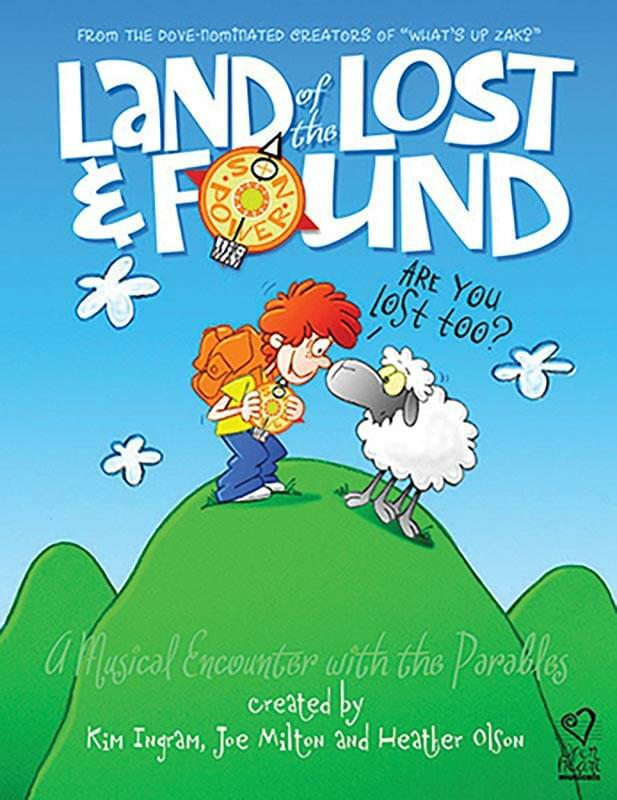 Take your students on a memorable journey through the "Lost and Found" parables of Luke 15 in this brand new, non-seasonal musical from Open Heart Musicals. It's his first day at a brand new school, and Morris is feeling scared, insecure, and lost! He stumbles into Room 316, the Lost and Found, where he finds a life-size Bible, and a mysterious suit of armor who invites him to "Step into the Word." Morris steps into the pages of Luke 15, where the "Lost and Found" parables spring to life in costume, humor, drama, and song. Enjoy the lessons of the Lost Coin, the Lost Sheep, and the Prodigal Son as they help Morris find his way home. You'll find terrific parts for all your students, including the three pigs from the Prodigal's sty, the Shepherd and his flock of "Bah-bettes," a grumpy group of Pharisees, and even a "Pair of Bulls." The Downloadable Teacher's Resource Kit and Student Devotional Book allow directors to make as many copies as they need for the staff and students. The Devotional Book has Scripture lessons, memory verses, activity pages, and a journal, all tied into the Scripture lessons students will be learning through the musical. The Teacher's Resource Kit features song lyrics, singer scores, crafts, drama games, snacks, Scripture lessons, and production notes including Audition Sheet, Description of Characters, Costumes, Props, Staging and Set Design, and Choreography Ideas.